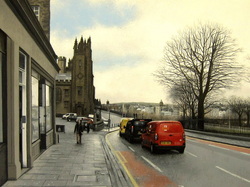 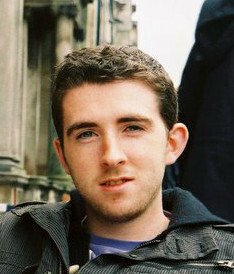 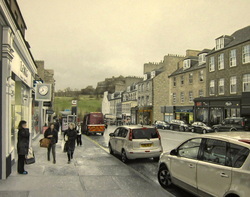 Colin Wilson was born in Falkirk in 1988. 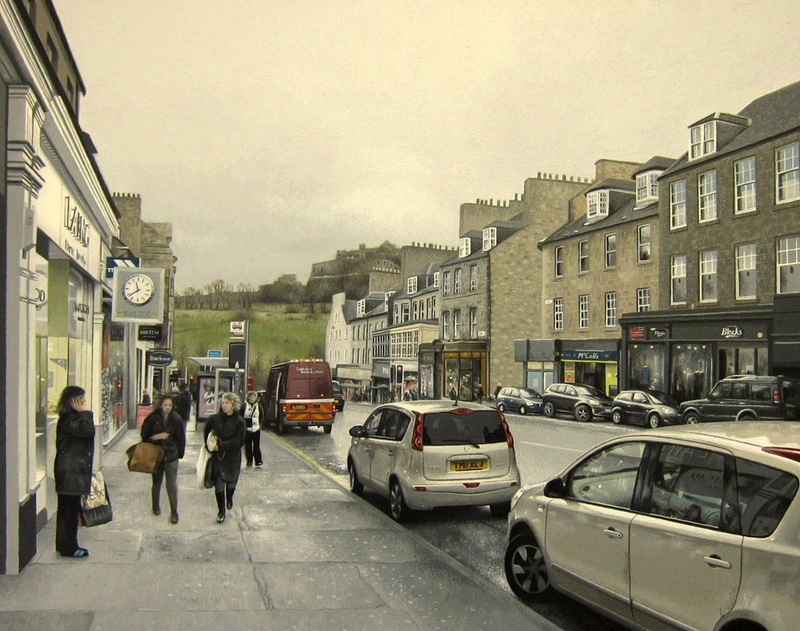 He studied Fine Art in Dundee at Duncan of Jordanstone College of Art and Design from 2006-2010. 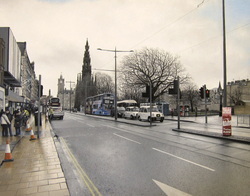 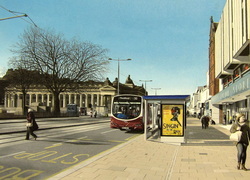 His work was included at the New Contemporaries exhibition at the Royal Scottish Academy in 2011. Colin’s artwork has explored multiple styles that include still life, portraiture, collages and most recently landscape painting. In his series of still lives he explores the interaction of visual planes and the relationship between two conflicting styles of painting, abstract and realism. Fueled by a love of cookery and all things food, these small scale paintings present the traditional subject of fruit and vegetables shown against a backdrop of colour and abstract shapes. 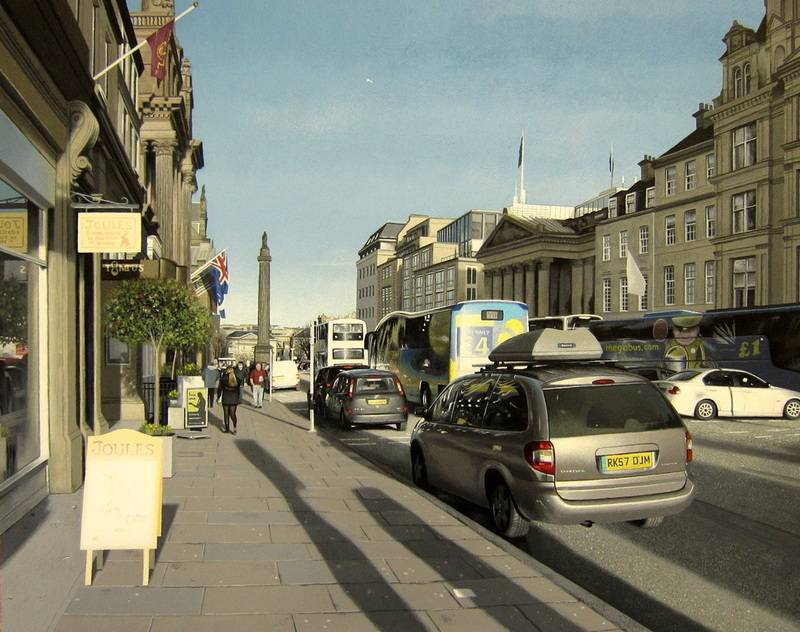 His most recent series of work looks closely at our modern urban landscapes and attempts to present a snapshot of everyday life in a photorealist style.